Does your career feel dangerously out of season? Are you dreaming of a job the perfectly suits your passion, your lifestyle and your creativity? Obsessed with clothes and the latest trends? Tick one or more of these boxes and a career as a fashion designer could be right up your street! Fashion designers work in a variety of capacities in accordance with their experience, competencies and reputation. From the smallest independent boutiques to international retail chains and right through to the most famous fashion houses in the world, it is a career path with limitless options to explore. Am I Right For the Fashion Designer Job? Along with a genuine interest in fashion, professional fashion designers must have plenty of creative flair and their own unique vision. Fashion design is less a career and more of an all-consuming lifestyle, which must be lived every day. You will be required to keep on top of the latest trends, know exactly how to predict the next big fashion movement and remain up to date at all times with what the biggest names in fashion are up to. Gaining a ‘foot in the door’ in the fashion industry takes hard work and determination, though has the potential to yield incredible rewards. 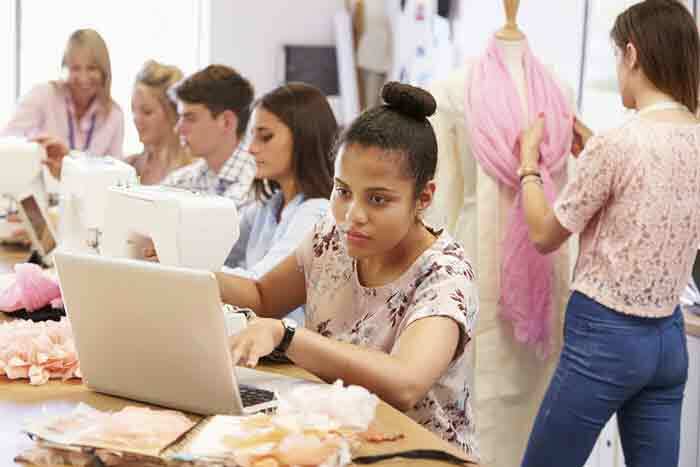 Entry-level fashion designers can expect to take home up to £24,000, increasing to £40,000 for experienced fashion designers and £60,000 for senior designers. Potential earnings are limitless for those who choose to set up their own businesses and succeed as entrepreneurs. The fashion industry is notoriously unpredictable and hectic – two words that perfectly describe careers in fashion design. It is often necessary to work long hours, meet incredibly tight deadlines, travel internationally and be ready for anything at any time. Fashion design is a field that does not demand any specific qualifications or formal education. However, it is crucially important to understand both the industry as a whole and the most important elements/principles of professional fashion design, before pursuing a career. Our highest level Fashion Design Diploma is perfect for those who are serious about making a name for themselves in this dynamic and rewarding creative industry. For an intermediate overview of the industry and essential technical insights, our Level 3 Fashion Design Certificate delivers outstanding quality teachings. We also offer Level 1 Fashion Design Course, for candidates interested in entry level course.